When you enroll in a college outdoors course, you expect to prepare for some intense situations, but not necessary to be put into them. One mountaineering course in Alaska recently ended in tragedy when a bear mauled the instructor. Alaska State Troopers reported that 35-year-old Forest Wagner was air-lifted to the hospital Monday following the attack and as of Tuesday was in critical condition. It was still unclear exactly what happened other than the bear was with cubs. Wagner had been teaching various outdoor studies courses for the University of Southeast Alaska, according to the Alaska Dispatch News. The teacher was leading a group of 11 students on Mount Emmerich in Southeast Alaska near Haines on a mountaineering course when the attack occurred. None of the students were injured. One of the students reportedly hiked to within cell phone range to call for help. It took rescuers two some four hours to airlift Wagner to Anchorage, a total rescue times that is not entirely out of the ordinary for such remote parts. The efforts included two helicopter trips, including a 500-mile trip to Anchorange. 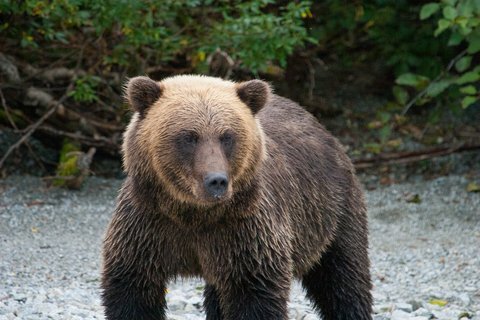 The bear that mauled Wagner was reportedly travelling with cubs. Defending cubs is one of the most likely reasons bears attack. This was the second bear attack in recent weeks, the paper reported. It’s also not the first time an instructor has been seriously injured by a bear. Last year, a boy scout troop leader was pulled into a bear cave, while two teenage boys called for help.